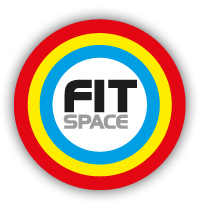 FitSpace a chain of low cost gyms in the UK. Fitspace was using social media (Facebook & Twitter) to promote the gym, however they found it challenging to keep their content updated and exciting. They had a good following but they followers were not engaged with their brand and their content. The members primarily used social as a way to complain, and that wasn’t balanced with positive feedback and content. Fitspace wasn’t attracting and retaining female members. They hired Make Digital Work to develop a joined up marketing plan across social that helped to drive the overall business goals. They wanted help re-energising their social media content, to assist them to build deeper relationships that would help attract new members, look at retention ideas and finally they wanted us to find a way to make them a brand that would be attractive to females. The videos were designed to make joining an easier process and helped to build a trusted relationship with the teams at each gym. We also created a very comprehensive content plan for each social channel with content designed to talk to each type of member (new, regular users and the high risk leavers). We created a promotional plan and calendar, designed for members to encourage friends to visit and join. We started a group for Female Gym goers, (Fit Females) not just targeting their members, but generally designed to be attractive to any females that were interested in gym and fitness. We created a very successful campaign called Face of Fitspace, getting members to enter to win a free years membership. Our winner was fantastic, she had used gym to loose over 3 stone. We did a range of videos interviewing her and getting her top tips. Examples of these are below. We also created a recipe book with healthy eating ideas that we promoted via social to build up their female email lists. We actively sought out positive reviews for social. We trained the team and helped the team develop goals and decide on success metrics, attending planing meetings and offering support to the team. Helen and Make Digital Work, have taken FitSpace from a standing start in terms of our social media activity, to a position where we now have and active, planned and exciting social media strategy.